One of the more or less hidden trades is that of the tool-and-die maker. These highly skilled tradesmen are masters of precision tool grinding, yet almost nobody recognizes their contributions. One of the more challenging aspects of their job is using the carbide grinder. Carbide is one of the hardest materials known to man. Most people have seen carbide-tipped saw blades, or drills, but this is not the type of tool referred to in the term tool and die making. These tools are actually more like machines that produce other things, such as your kitchen stove or refrigerator. The list of things produced by these tools or dies is almost endless, once you learn to recognize it. Just about anything made of metal has had work done on it by a tool made by a tool and die maker. For those items that are consumed in huge quantities, such as electrical switches, carbide is the material of choice for the tools and dies used in production. This is for the simple reason that it does not wear out nearly as quickly as hardened tool steel. This also presents a dilemma, however. Because carbide is so hard, there are very few materials that can cut it. This is where carbide grinding comes into play. The carbide grinder uses a diamond grinding wheel to machine the shapes required. These synthetic diamonds are very hard and uniform in size and shape, which gives them excellent cutting properties. A manual surface grinder can be used, or a CNC surface grinder. In the not-so-distant past, this was the primary method for machining carbide. 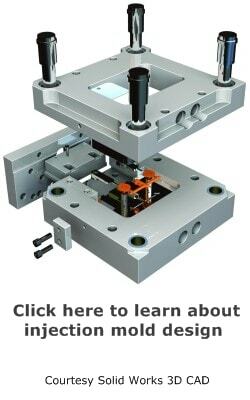 Then an amazing machine was developed, the wire electrical discharge machine, or wire EDM, or WEDM. Within a few short years, the process was improved to the point where such tolerances as .0001 in/.0025 mm could be held. Not only that, but an almost limitless variety of shapes and contours could be machined, all unattended. The WEDM did not entirely replace the carbide grinder, not at all. There are still many applications that require grinding, and the skilled worker is always in high demand. 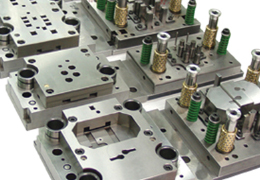 In a way, this is similar to injection mold making and the invention of the sinker EDM. The sinker EDM dramatically changed mold making and many of the old techniques just about disappeared. Yet the old skills are still required, and are always in short supply. Every toolmaking shop uses carbide end mills, inserts cutters, drills and other cutters. All of these must be periodically sharpened by a carbide grinder that uses a diamond grinding wheel. Some shops have an in-house re-sharpening area, but most send it out to a specialty grinding shop that is better equipped. It is amazing to watch a CNC grinder sharpening an end mill or make a special cutter. 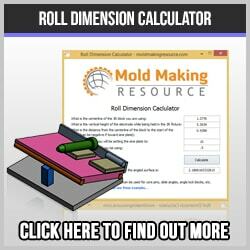 What would take a very skilled toolmaker hours can be done in minutes! Not only that, but once the program is made, and the process perfected, you can make as many cutters as you have blanks.